The Office of Student Affairs supports a broad array of important services for students in the School of Professional Studies (SPS) at Columbia University. The information provided will be a constant point of reference and will ensure that your experience at SPS is a positive one. The links at left point toward information on advising, registration, policies and procedures, and University resources. Keep in mind that policies, procedures, requirements and guidelines frequently vary from program to program. In many instances, the links provided here lead to a program’s site, or to pages within the University site, where the most relevant information can be found. 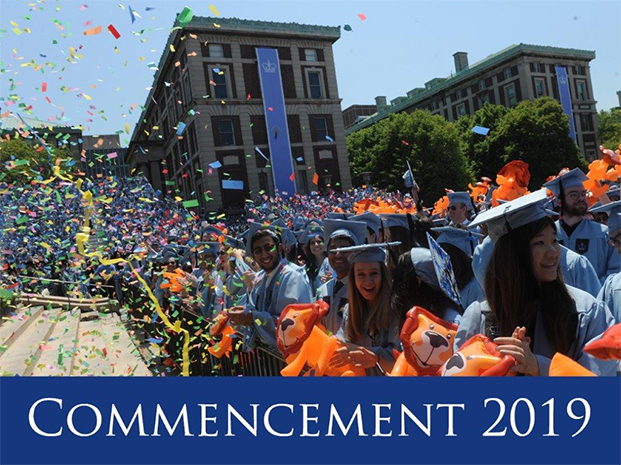 We look forward to helping you make the most of your education at Columbia University. The Office of Student Affairs is located in 203 Lewisohn Hall and can be contacted at 212-854-9666 or sps-studentaffairs@columbia.edu. Upon completion of all course requirements, you begin the next phase of your connection to the School and your Program. This connection is meant to continue throughout your life and it begins while you are a student. There are many different ways alumni can continue their involvement with the School of Professional Studies (SPS) community. We encourage alumni to stay in touch with the school and share their expertise and experience with current students. Because alumni come from a wide range of backgrounds, represent many different industries and bring a wealth of knowledge and experience, the benefit to both current students who are preparing for future careers and fellow alumni is clear. We host workshops and networking events in which alumni can participate and serve as industry experts, speak on behalf of their organizations and educate students about their field of work and industry trends.